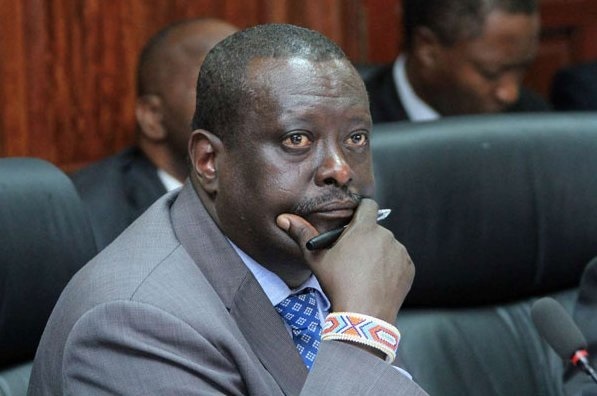 Thursday August 30, 2018 - Detectives from Ethics and Anti Corruption Commission (EACC) have today arrested Agriculture Principal Secretary, Richard Lesiyampe, for stealing Sh 6 billion from the National Cereals and Produce Board (NCPB). 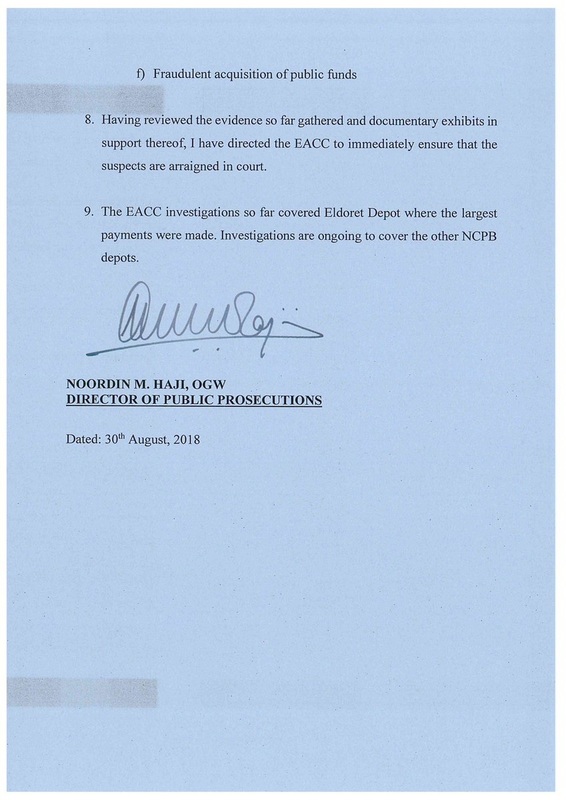 Lesiyampe and 9 other officers were taken to EACC cells at Integrity Centre while NCPB Finance Manager, Cornel Kiprotich Ng'elechey, was detained at EACC offices in Rift Valley. The 9 were then taken to the Anti-Corruption Court to answer to various charges. 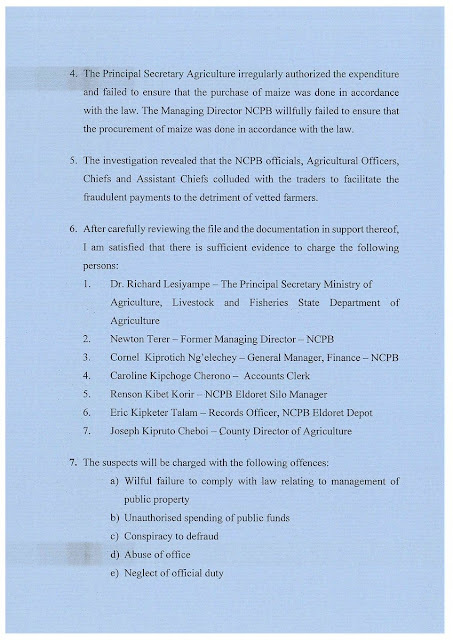 The suspects are charged with the following offences, wilful failure to comply with law relating to management of public property, unauthorised spending of public funds, conspiracy to defraud, abuse of office, neglect of official duty and fraudulent acquisition of public funds. 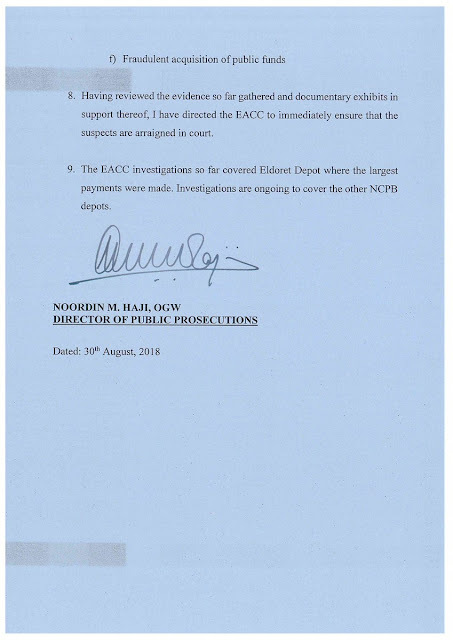 In a statement to Kenyans, Director of Public Prosecutions, Nordin Haji, said he is the one who authorised the arrest because he has enough evidence to prosecute the nine criminals. "The Principal Secretary irregularly authorised the expenditure and failed to ensure that the purchase of maize was done in accordance with the law," Haji said. 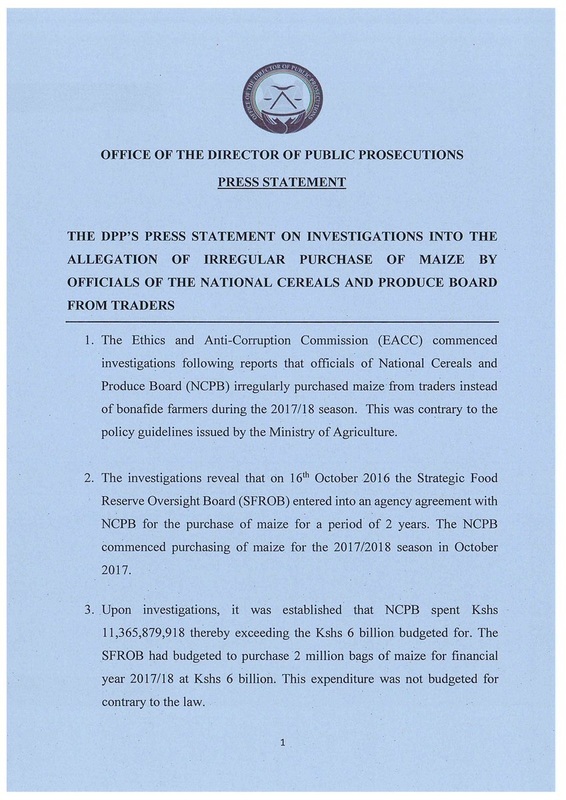 "The Managing Director NCPB wilfully failed to ensure that the procurement of maize was done in accordance with the law."Haji. He said the PS colluded with other senior officials at NCPB to loot the money that was supposed to pay farmers.